The Bloodline: Birth of the Vampir is a dark tale of innocence lost and monstrosity born. 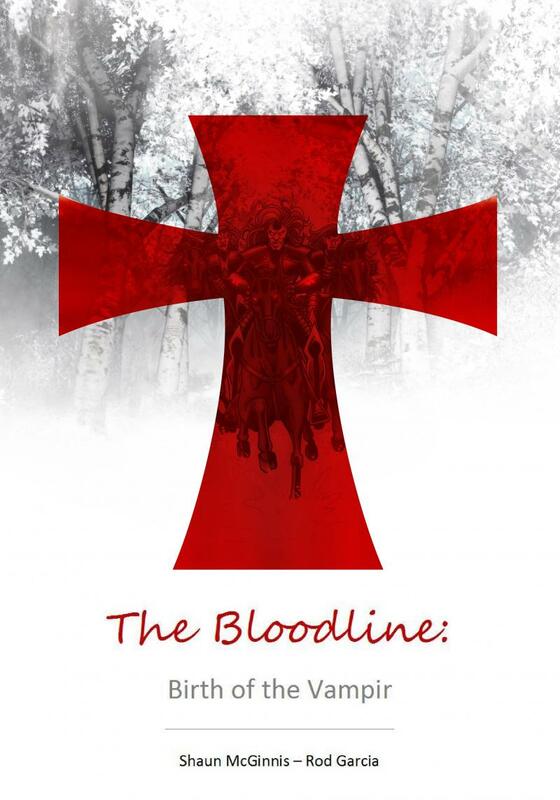 Set in 13thcentury Europe, the book chronicles the fall of a Transylvanian Lord and his people at the hands of a ruthless Archdeacon in search of the Holy Grail. Cursed and exiled from their land, the former citizens of Erdely soon find themselves in the grips of a transformation, becoming something the world has never seen before—the first vampires.As of today (Aug. 16, 2013) The Bloodline: Birth of the Vampir will be availalble for purchase via Amazon, Barnes & Noble, and other such sites in both Kindle and print editions. Shaun McGinnis is a graduate of Virginia Commonwealth University and has spent the past fifteen years working as a Residential Designer and Project Manager. Writing has been a passion of his since childhood, with “The Bloodline: Birth of the Vampir” being his first novel. Rod Garcia began his deep-rooted love-affair with the entertainment industry while working in Hollywood as an editor/agent. In addition to ‘The Bloodline’ series, Rod is developing numerous solo projects, (horror and otherwise), and is currently resurrecting the ‘Weapons of Mass Distortion’ series with the help of his 11 year-old son Jakob.